with compassion, love, integrity & respect. 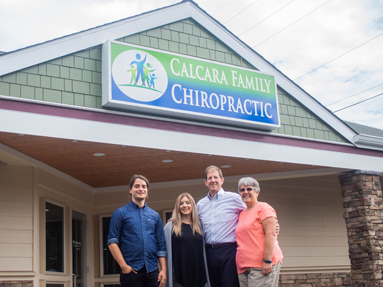 Dr. Rick Calcara and his team have been delivering quality chiropractic care to Olympia, Lacey and Tumwater since 1987. We know that a healthy spine and properly working nervous system lay the foundation for better health for people of all ages, from infants to seniors. 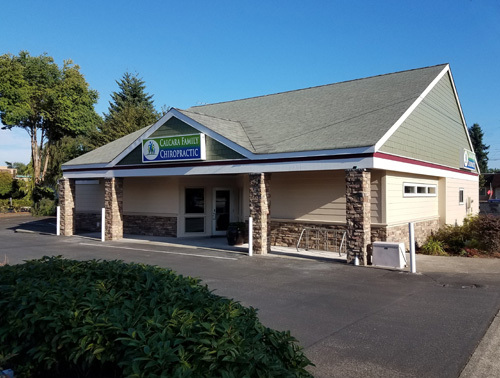 Our mission is to empower people to live a full and active life through effective chiropractic care and massage in a caring, professional environment. Our vision is “Vibrant Living for Every Stage of Life”. Chiropractic care can help help you live at your highest potential for health, activity and energy. We combine current technologies with over 30 years of hands on experience and knowledge to identify any problems with your spine and nerves, and develop a plan to correct those problems, letting you live a vibrant life again! We have special interest, training and experience in providing prenatal and pediatric chiropractic care to help moms and their babies, children and teens to grow and live active and vibrant lives. We are passionate about seeing families visit us together, experiencing wellness as a family unit. “I want the same health my family experiences for my patients and their families,” says Dr. Calcara. Our office is a beautiful, relaxing place, and our staff consists of caring, skilled people who serve our patients well. We welcome patients of all ages and all walks of life. We offer gentle techniques to ensure your comfort. We use state-of-the-art technology for precise, effective care. We’ve created a friendly, relaxing environment that people love to visit. We work toward your goals; you’re in charge. We’re here to help you be as well as you want to be. Whether you’re visiting us in pain, or want to feel even better, we’ll address your issues while helping you understand what your body is capable of. Our computerized nerve testing measures your spinal nerves to see where there is stress and disturbance. Then through chiropractic care, we’ll help your body function better by correcting the underlying cause of not only your discomfort, but the nerve disturbances that can disrupt your health. We look forward to meeting you and seeing how we can help.